The Nomos Ahoi has become a favorite in the lineup and a winner of a number of design awards. 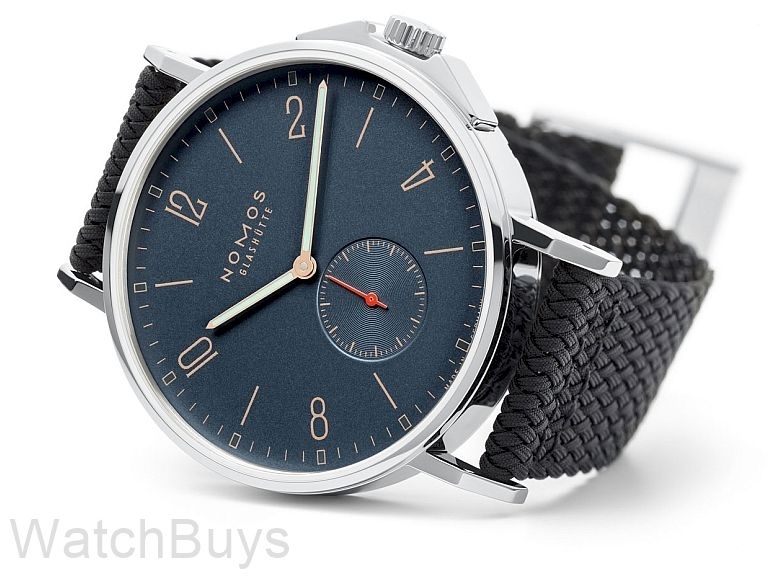 The Nomos Ahoi Atlantik features the same great case, movement design, and other technical specifications of the original Nomos Ahoi, but sports a new dial and rose gold hands. What Color is This Dial? We will admit it's very hard to say. 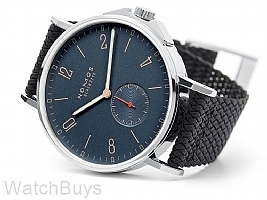 The official Nomos color is "Atlantic Blue" and we suppose that works. In some light the dial does look very dark blue, while in others almost black. And while viewing the watch under incandescent light the dial took on a very dark anthracite color. Regardless of the official color our in-person reaction was that this dial is among the best designs we've seen on a mechanical watch. The combination of the lacquered dial finish and the rose gold hands is a real stunner. 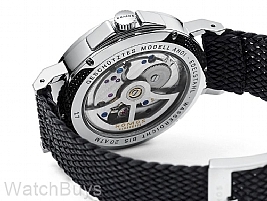 What Makes This Watch Different? The aligned bezel, domed sapphire crystal and crown guard make for an ideal design (on the beach, at the pool, casual, business casual and even dress). The combination of the sapphire crystal back, held firm with six screws, and the screw-down crown ensures that everything stays tightly sealed: down to 200 meters. 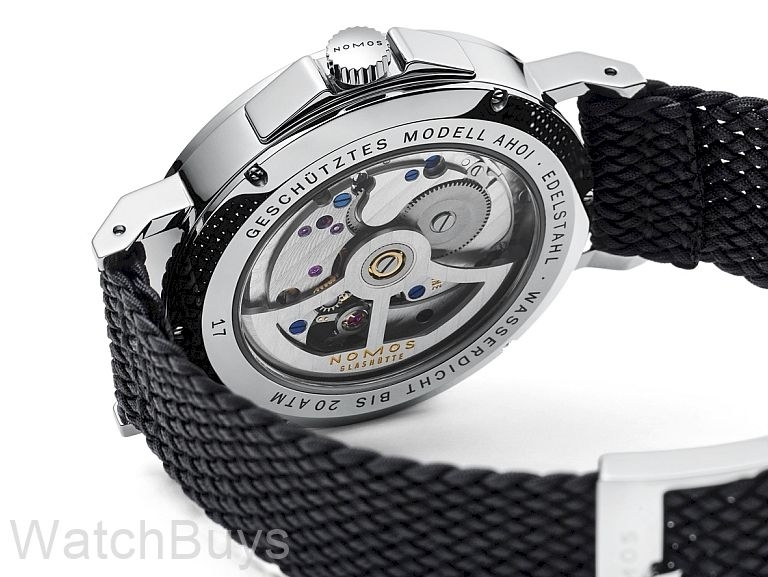 This is because the Nomos Ahoi Atlantik is water resistant according to Nomos test standards, which are based on the DIN 8306 standard for divers watches. A new waterproof strap with Nomos' own special winged clasp is a great look, but when more formal wear is required simply change to the Nomos shell cordovan strap - the best in the business.